Welcome to the Holiday Inn Hotel Berlin - City West! The Holiday Inn Hotel Berlin - City West is an ideal hotel for business travellers and Berlin visitors: the modern 4-star hotel is just a few minutes from Berlin Tegel Airport TXL and is conveniently located for the ICC / Messe Berlin trade fair centre and the Berlin City West. Light and friendly hotel rooms with flat screen TV, high quality mattresses and a friendly and dedicated hotel service team. A hotel car park, the location close to the A100 motorway and the underground station near the hotel create the perfect conditions for a relaxed stay in the German capital. Our Berlin hotel offer handicapped accessible parking and a handicapped accessible check in desk. Our Berlin hotel's Finnish sauna, steam bath and ample pool are the perfect place to relax after a busy Berlin day. The modern cardio and muscle machines in the gym of the Berlin hotel are perfect to burn some energy. The cosy hotel restaurant "Il Faggio" serves you international and seasonal cuisine and a fine selection of good wines. The light-flooded hotel bar in the atrium is ideal to wind down – enjoy a good cup of coffee and the latest newspapers during the day and relax with a tasty cocktail and freshly-drawn beer in the evening under the atrium's glass cupola. Do you like running and exercising outdoors? We drafted a running track for our guests, that starts right at our Holiday Inn Berlin City West, going through the beautiful Volkspark Jungfernheide. If you would like more information, we are happy to provide it here. Our modern city Hotel in Berlin offers spacious business rooms with WiFi internet and stylish conference and meeting rooms with state-of-the-art business services. The atrium is a perfect backdrop for glamorous receptions and banquets. The hotel's 18 flexible conference and meeting rooms, modern technical equipment and a dedicated event service team make the Holiday Inn Hotel Berlin City West one of the top event locations in Berlin. The Business Centre in our Berlin hotel is available free of charge to all hotel guests. After extensive examination of the dfv media group, our hotel Holiday Inn Berlin City-West is officially a recommended location. Do you like running and exercising outdoors? We drafted a running track for our guests, that starts right at our Holiday Inn Berlin City West, going through the beautiful Volkspark Jungfernheide. If you would like more information, we are happy to provide it here! Collect your points now and win exclusive offers and benefits. 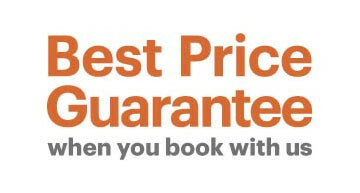 With the IHG® Best Price Guarantee you always get the lowest price for the rooms at the Holiday Inn Berlin - City West Hotel on our website. Book and manage your stays at Holiday Inn Berlin - City West easy than ever on the app. Available for Iphone, Ipad & Android. Visitors to Berlin appreciate the lavish spread in the hotel's airy breakfast restaurant – fresh egg dishes, fruit, waffles and crispy bread rolls await them at the breakfast buffet.